Food. Friends. And plenty of fun. Hopefully that's what filled your July 4th holiday! Now, let's kick it up a notch with Splash! in New Orleans. Splash! 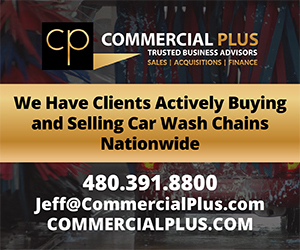 is where 1 on 1 and fun meet, and we're looking forward to bringing car wash industry professionals together to connect and create both personal and business connections Oct. 24-25. 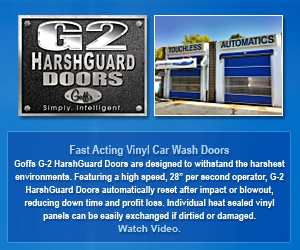 Visit http://www.carwash.org/events/splash/splash-site-landing-for-cw-news to view the full article online. Paying to park a car somewhere before an out-of-town trip can be expensive. That is where TravelCar wants to take the wheel. "We're the Airbnb of vehicles for you," said company employee Shant Mouradian. Visit http://abc7.com/business/travelcar-wants-to-be-airbnb-of-vehicles/2181786/ to view the full article online. All Volvo car models launched after 2019 will be electric or hybrids, the Chinese-owned Swedish company said Wednesday, making it the first major traditional automaker to set a date for phasing out vehicles powered solely by the internal combustion engine. Visit http://fortune.com/2017/07/05/volvo-electric-cars-hybrid-2019/ to view the full article online. For most people, self-driving cars are just an abstraction, something they read about occasionally in the press but still consider a far-off, futuristic fantasy. They read the headlines and scoff, "Not in my lifetime." But the events of this past month may help put a lot of that skepticism to rest. Visit https://www.theverge.com/2017/7/4/15917180/self-driving-car-congress-bills-waymo-avis to view the full article online. The small building under way just south of the Wilco Farm Stores will be the first Oregon location for Surf Thru Express Car Wash, a Bakersfield, California, company that touts its environmental stewardship. "We’re an entirely different style and type of car wash," said Surf Thru co-owner Todd Gall. Visit http://www.bendbulletin.com/business/5417182-151/whats-going-up-on-27th-street-drive-through-car to view the full article online. KO Auto Wash of Yates Center has taken over the car wash in Chanute south of Pete’s and north of Dollar General. The car wash will be closed July 5 into early August for upgrades. Kyle Owens, who owns and operates the business alongside wife, Maggie Owens, and parents Scott and Jody Owens, said that extensive upgrades will be made to the buildings. 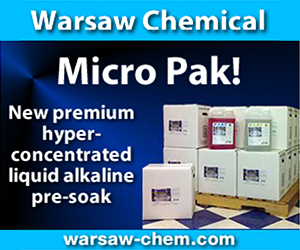 Visit http://www.chanute.com/news/article_5cb010ea-5df2-11e7-bc65-93dab5ea2bff.html to view the full article online. 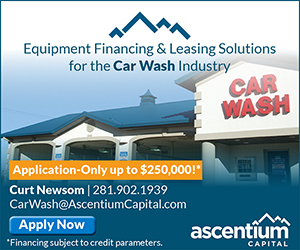 Convenience-store owners across the country are cleaning up by tapping into the $20 billion car wash industry. 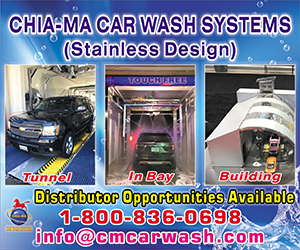 With improved support channels and advanced technology, vehicle-wash systems have never been more lucrative for c-store owners. 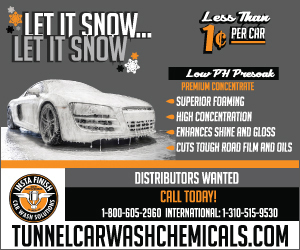 Visit http://www.cspdailynews.com/category-news/services/articles/car-washes-turn-clean-green-c-store-owners to view the full article online. The year is half over: how are you doing on those New Year’s resolutions? Goals or resolutions set on New Year’s Day typically emerge from great intentions, motivation and commitment. So, why is it so notoriously difficult to stick to them? By now, research indicates that the percentage of people following through on those good intentions may be in the single digits. Visit https://www.fastcompany.com/40436466/the-year-is-half-over-how-are-you-doing-on-those-new-years-resolutions to view the full article online. In almost any job interview, you will hear the candidate ask the question "What’s your corporate culture like?" in one form or another. There’s good reason for this: Nobody wants to work for a company that doesn’t recognize the importance in fostering an environment that is both enjoyable and rewarding for its employees. Visit https://www.entrepreneur.com/article/296699 to view the full article online. Just because Facebook has disclosed 10 measurement errors since last September doesn’t mean the company is shying away from providing marketers with new measurements. Facebook will start providing advertisers more details about the people clicking on their ads to visit their sites, like whether they actually made it to the site and if they’ve visited before or not, the company announced on Thursday. Visit http://marketingland.com/facebook-will-tell-brands-people-clicking-ads-actually-made-sites-218653 to view the full article online. Infographic: What are the best days and times to post on social media? One of the most popular insights Contently’s strategy team provides clients is a custom analysis of the best times and days to post on social, based on the behavioral patterns of their target audience. This data is always met with a combination of surprise and relief — the answer is often counter-intuitive, and they’re grateful to no longer have the uncertainty of when to post hanging over their heads. Visit https://contently.com/strategist/2017/06/30/best-times-post-social-media/ to view the full article online.